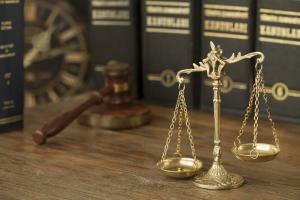 Patent law firms and invention marketing companies are not created equal. Many simply cater to corporate clients or put the cart before the horse. However, some firms really do understand the situations involving individuals and small companies seeking patents – and in many cases, are dedicated to helping the type of client for which most patent law firms have no interest. "The firms which do decide to service these clients generally do not provide the best service. Instead, they'll give them a very junior patent attorney with inadequate experience. If they do have a senior attorney involved, that attorney will generally not supervise the junior attorney adequately. Those are the big or medium patent firms who mostly focus on corporate clients. Their intention is to have a client base of corporate clients, so when individuals or very small companies approach them, they don’t really get good attention." "They focus on developing a marketing plan for the product which they charge a high amount for, at least $10,000 to $12,000. Yet, what the client receives is largely boilerplate and whatever information has been customized to their inventions is most often viewed by the client as not all that helpful. So, they feel that they have not gotten their money’s worth. On top of that, they’ve already spent a very large amount of money, which usually taps them out. Then they are told they have to get a patent. They have to start the patent application process, which means that, almost universally, they have to get a provisional patent application which has lots of drawbacks and must be followed up within one year with a full regular patent application filing." Unfortunately, the majority of the time they have either run out of money or optimism and just give up, according to Weinzimmer, and they never follow up with the regular patent application, so they will not get a patent and they’re out of business.